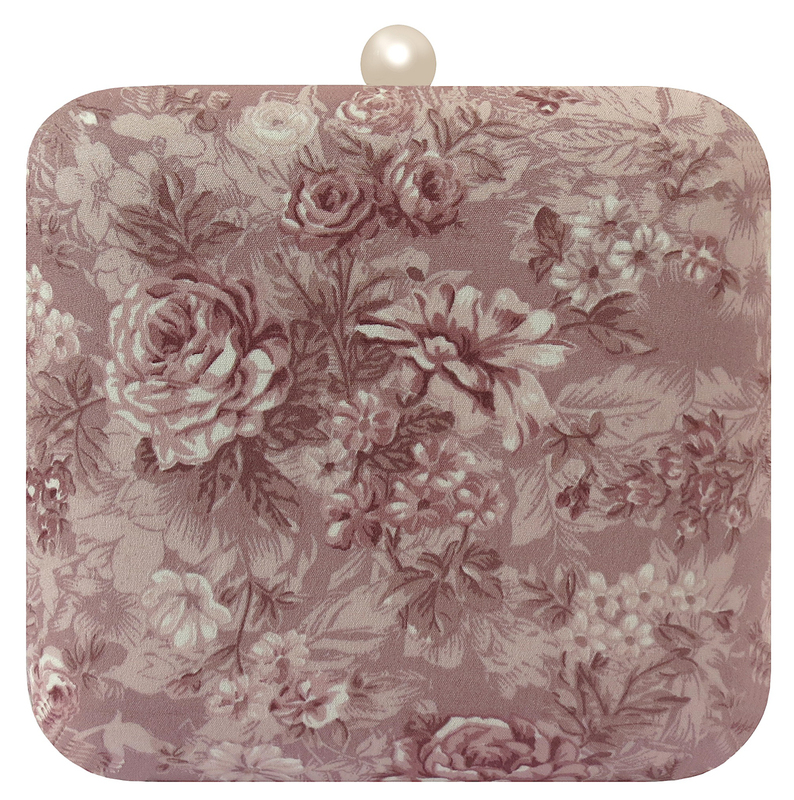 Inspired by the delicate and fragrant Lavender Flowers, spread the love with the 'Lilac' Minaudière. 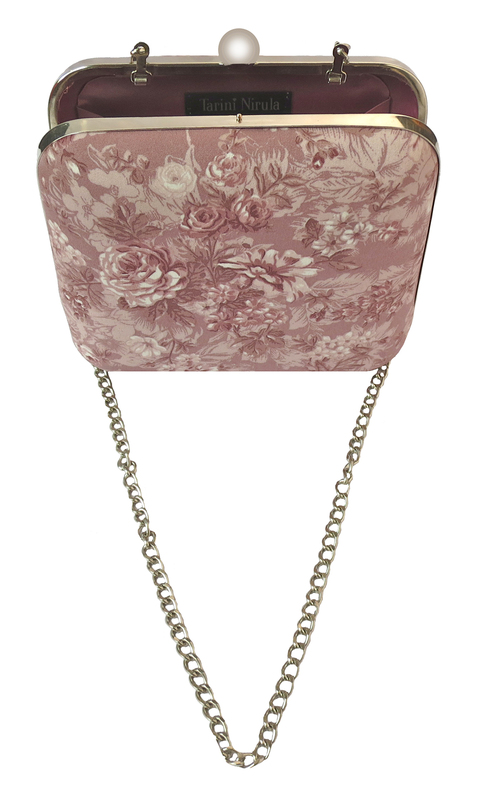 Hand crafted to a size spacious enough for more than just essentials, this floral inspired design is ideal to carry for a summer brunch with friends or a date with your loved one! 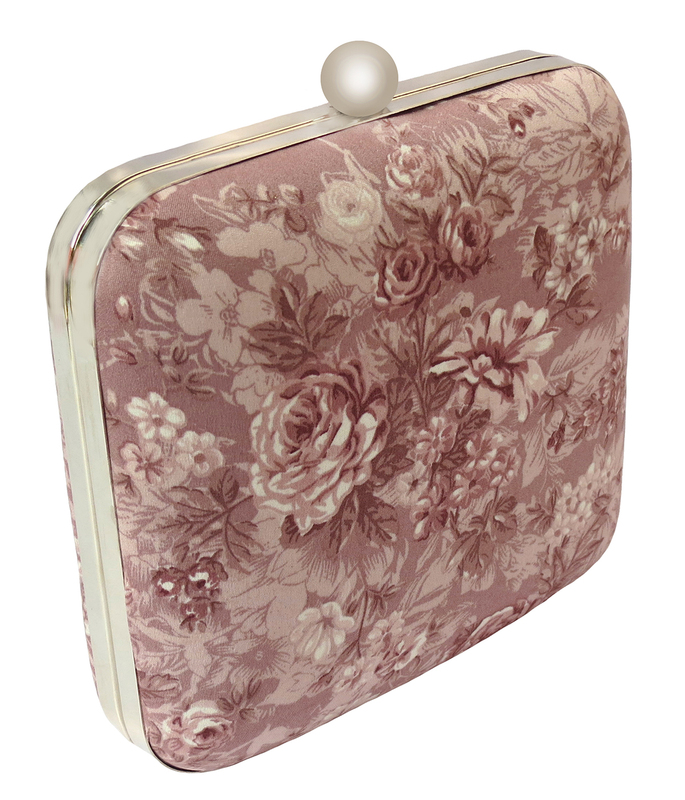 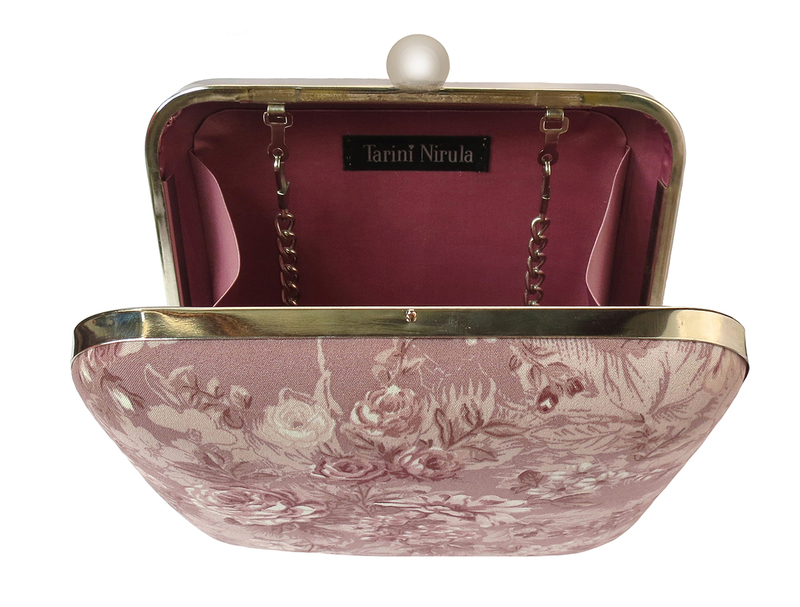 MATERIAL: Lilac Floral Print, Pink Poly-Dupion Lining, Silver frame with round clasp, Silver chain.